The No. 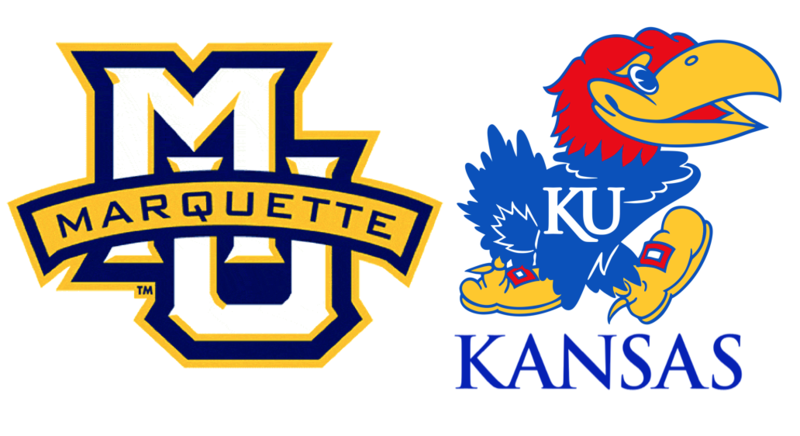 2 Kansas Jayhawks (3-0) hit the road on Wednesday night for a big non-conference game against Marquette to begin the NIT Preseason Tip-Off tournament. 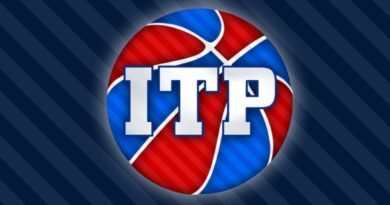 The Jayhawks will be tested this week in the Big Apple, with teams like the Golden Eagles and Tennessee or Louisville on the horizon. The last time KU played Marquette was in the 2003 Final Four, when the Jayhawks absolutely dismantled Dwyane Wade and the Golden Eagles. The Jayhawks are coming off an 89-76 win versus Louisiana on Nov. 16. Marquette bounced back from a loss at Indiana (Nov. 14) and defeated Presbyterian, 74-55, on Nov. 17. Kansas is looking to go 4-0 for the second-straight season and eighth time in Bill Self’s 16 seasons at KU. Kansas leads Marquette 6-1 in all-time meetings, with the last meeting at the 2003 Final Four in New Orleans, a KU 94-61 win. Senior G Lagerald Vick’s 32 points against Vermont (11/12) and 33 points versus Louisiana marked the 29th and 30th time in Bill Self’s 15-plus seasons at KU that a Jayhawk has scored 30 or more points. Vick’s 15 combined three-pointers was also the most ever by a Jayhawk in back-to-back games. Vick’s back-to-back 30-point efforts earned him Big 12 Player of the Week honors for the first time in his career. The announcement marked the 73rd time in the league’s history a Jayhawk has claimed the Player of the Week award and the second this season (D. Lawson, Nov. 12). Marquette has yet to take the next step as program under head coach Steve Wojciechowski. They will try to do that this season, despite losing key members from last year’s NIT squad. The Golden Eagles bring back important pieces, such as Sam Houser and Markus Howard. Marquette has really only been tested once so far this season – a road game in Bloomington against Indiana – and they lost by 23 points. The Golden Eagles’ three wins aren’t anything to write home about, but as they search for that marquee win, no opportunity is better than the one in front of them against Kansas. The Howard vs. Devon Dotson matchup should be a good one, as they are both of the similar mold of quick little guards. Howard does love to chuck up the three-ball. In the first four games, he’s attempted 32 of them, connecting on 38%. That percentage is bolstered by a 7-for-10 effort against Bethune-Cookman; in the other three games, he’s just 5-for-22. 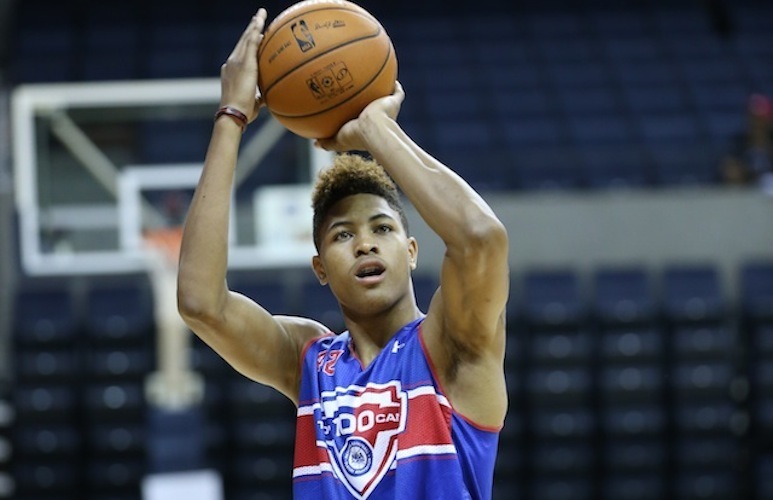 Hauser is a two-way wing that can play a little bit of outside and in. He’s scored in double-figures in each game so far this season, leading the team at 15.5 PPG. The matchup between he and Lagerald Vick should be a good one. These three will have the task of defending KU’s bigs. Heldt is the biggest at 6’10”, but he hasn’t played more than eight minutes in any game this season. John is physical specimen, sitting at 6’9″, 240 lbs, but will he be enough to stop the likes of Udoka Azubuike, Dedric Lawson and co.? Morrow stands at 6’7″. 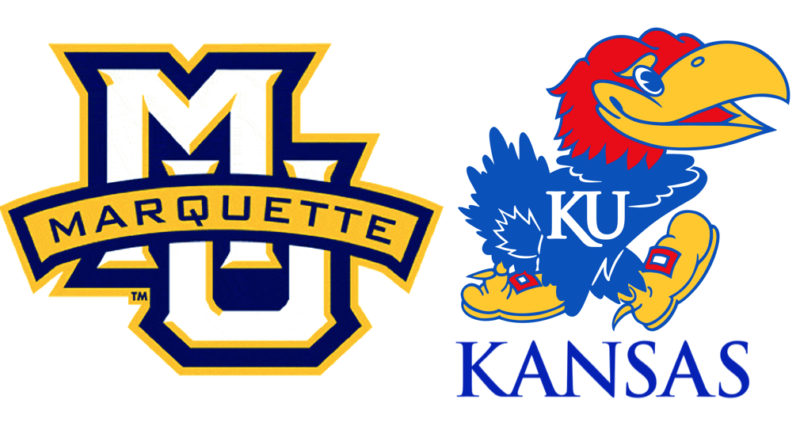 It could be a long night for Marquette if the Jayhawks decide to pound the paint. I could see Marquette hanging around for a while, just because they do like to shoot the three and so far, Kansas hasn’t defended that well. At the end of the day though, the Golden Eagles do not matchup with KU’s size at all. I’m not kidding when I say that Udoka Azubuike should get a touch on EVERY POSSESSION for Kansas. Feed him. Vick has taken a great step forward so far this season after most of his stay in Lawrence had been spent in Bill Self’s doghouse. It’s hard to expect another 30 point game out of him, but I am interested to see if he can keep developing into a consistent shooter, which is something KU needs. I have not been impressed with Dedric Lawson’s performance yet, and if you asked him, he’d probably say the same thing. I’ll go out on a small limb and say this will be his breakout game. He’s too talented to stay quiet for long. What better way to wake up than in the bright lights of New York…er, Brooklyn. 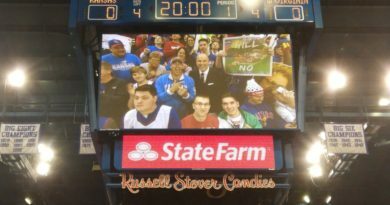 Give me Kansas to win on Wednesday night. Marquette keeps it decently close for a half, but too much talent and size from Kansas will be what puts them over the top. As in most cases, the only thing I can see that beats Kansas…is if Kansas beats Kansas. ← What we learned – Louisiana at Kansas: Defensive issues or a bad stretch?